The 2018 Ford EcoSport is a sporty, compact crossover SUV that offers a broad range of packages to fit any budget. With a ton of storage space and a side-swing open back hatch the EcoSport is high on style and functionality. The side-swing rear hatch makes the EcoSport both easy to load with cargo and stylish. The 40/60 fold flat seats give ample room for packages on board. Additional storage in the locking console, side-seat storage and back-seat storage gives plenty of room for all of the little things we travel with. The EcoSport does not disappoint on performance either. A 1.0L turbocharged three-cylinder with front wheel drive comes standard and a 2.0L four-cylinder with all-wheel drive is an optional feature. Both setups use a six-speed automatic. The Ford EcoSport packs many safety features in as well, including driver, passenger, front and rear head and side airbags, child safety locks, electronic stability control, 4-wheel ABS, 4-wheel disc brakes, and brake assist. An 8-inch full color pinch-to-zoom and swipe navigation touch screen system is included and available with compatible Apple CarPlay and Android Auto. To further enhance your driving experience, a 10-speaker premium sound system pumps out 675 watts. The 2018 Ford EcoSport offers high-tech safety options that increase the safety of your ride. Standard safety for the 2018 Ford EcoSport includes, dual stage front airbags safety belt pretensioners, safety belt energy-management retractors, safety belt usage sensors, driver’s seat position sensor, crash severity sensor, restraint control module and front passenger sensing system. AdvanceTrac with roll stability control (RSC) helps you drive more confidently on snow, ice, gravel, and wet road conditions. The system gives increased stopping power, better traction, and responsive handling. Roll Stability Control offers increased rollover protection by brake and throttle control. Once it monitors the vehicle’s roll body angle, it reduces power and starts braking one or more wheels to correct the angle. The Available BLIS cross-traffic alert uses radar technology to detect vehicles that may be in your blind spot or in your rear when backing or pulling out of a parking spot. If there is a vehicle or person in range, the driver will be visually and audibly alerted. Optional MyKey technology helps young and new drivers drive more responsibly by allowing the vehicle to be programmed in a restricted driving mode. Restricted modes adjust driving conditions to create a less distracted driving experience by limiting high speeds, increasing safety belt use, and lowering radio volumes. Loaded with great tech options, the 2018 Ford EcoSport delivers top of the line convenience and smart technology to enhance your driver and passenger experience. SYNC 3 with Apple CarPlay and Android Auto compatibility gives voice-recognition capability and also offers an 8-inch color LCD touchscreen with swipe and pinch-to-zoom technology. Everything inside the 2018 Ford EcoSport is laid out to be simple to use. Fast-charging USB ports make charging on-the-go a breeze and available intelligent Access lets you unlock, start, and lock your EcoSport without ever having to reach for your key. BLIS (Blind Spot Information System) helps to sense traffic that may be located in your blind spot. The 2018 Ford EcoSport that comes with satellite radio offers a 6-month access audio trial that allows you to listen to over 150 channels, including commercial-free music, sports, news, comedy, and entertainment. Extend your SiriusXM technology with a 5-year subscription to SiriusXM Traffic and Travel Link services to get detailed traffic and weather information on the go. Another great feature is FordPass. The 2018 Ford EcoSport is equipped with FordPass with SYNC connect that allows you to check your fuel, remotely lock, unlock, and start your vehicle. It also lets you schedule maintenance, request roadside assistance, or find your vehicle. The 2018 Ford EcoSport comes with a 2.0L VCT (GDI) engine that is paired with intelligent 4WD that offers enhanced handling in any weather conditions and on any road. The hill start assist feature eliminates roll-back while you are going from brake to gas on an incline or slope. Exclusive EcoBoost engines have been proven to give an exciting performance. The standard 1.0L in the 2018 EcoSport delivers this power. All models use a standard 6-speed selectshift automatic transmission to allow you to choose the right gear for any driving situation. Turbocharged with direct injection, this model really gives its all during acceleration. Auto Start-Stop technology helps to cut down on fuel usage and emissions while driving in city stop and go traffic. Auto Start-Stop technology automatically shuts off the engine when its not needed. Auto Start-Stop can also be turned off at any time you do not want to use it. 60/40 fold-flat rear seat backs allow for great cargo space capabilities whether you are traveling or running errands. This super versatile SUV scores high in the style department. Every detail of the EcoSport’s interior and exterior has been crafted with a comfortable and stylish driver and passenger experience in mind. 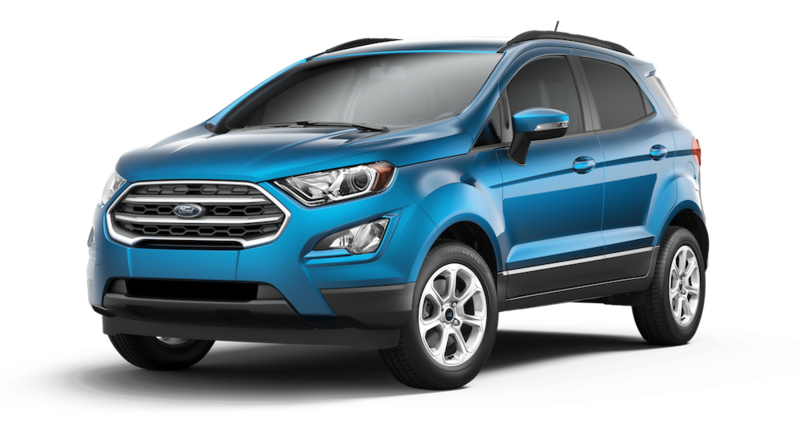 The 2018 Ford EcoSport is a versatile and reliable SUV that boasts heated leather-trimmed seats, copper accents, and striking black exterior details. The roof-rack side rails with crossbars and 17-inch premium Dark Tarnish-painted metallic wheels finish off the exterior styling. The appearance package offers beautiful wood inlays and a leather-wrapped steering wheel with details. The EcoSport SE, SES, and Titanium include LED signature lighting and halogen projector headlamps that are both striking and useful. A power moonroof with sunshade gives ample natural lighting throughout the EcoSport. Also available is ambient lighting that can be adjusted in seven colors. The roomy interior offers ample foot and headroom in its five-passenger seating area. Heated and leather-trimmed seating rounds out the style possibilities of this compact SUV. All of the standard features as well as available packages make the 2018 Ford EcoSport a stylish pleasure to drive. 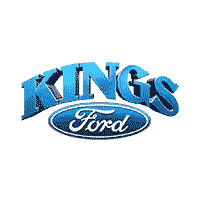 Kings Ford Cincinnati is a trusted dealership of new and used Fords in the Cincinnati, OH area. We’ve made many commitments to our valued customers and potential customers over our years in business. 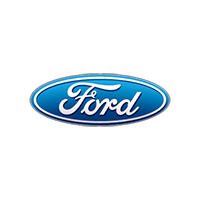 Our commitment to top-notch customer service and quality vehicles is what has made us the premier Ford dealership in the community. Because we appreciate not only our new customers, both potential and repeat, we have also dedicated ourselves to committing to contributing to the community we all live in through charity work and various sponsorships. Ford Cincinnati, OH offers the most competitive prices around and helps customers drive the vehicle they want by offering low-interest rate financing from our financing center, as well as multiple offers and incentives designed to get you driving your new or used Ford from Kings Ford Cincinnati today.